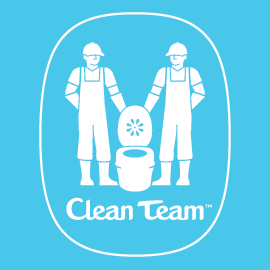 Clean Team is a social business that makes sanitation profitable and makes acquiring a household toilet easy. We’ve started in the low income areas of Kumasi, Ghana, where we supply households with an attractive branded portable toilet and collect the waste 2-3 times per week. Once at our central site, we are able to convert the waste into energy and organic fertiliser. We are making a significant contribution to the global sanitation crisis by pioneering a new form of household sanitation with potential for wide scale replication in developing and emerging markets. Visit www.cleanteamtoilets.com for more info. In partnership with Unilever, we’re growing the business from 350 toilets to date to reach 1,000 by the end of the year. Next year we will use private finance to expand to 10,000 households in Kumasi alone. We are seeking an experienced manager to develop and implement our growth plan, developing the four key areas of the business: marketing, operations, human resources and finance. This is an 18-24 month consulting position based in Kumasi, Ghana. Below is the type of person we are looking for. Not only will he/she bring a wealth of skills and experience to guide our hugely talented staff, but he/she will buy into the vision that Clean Team will make a significant, meaningful impact to global poverty. If you’re excited about this opportunity, then please apply. Accountable for developing and implementing a growth strategy to reach 10,000 customers by 2014, ensuring that each department – marketing, operations, human resources and finance – develops its capacity, works together effectively and grows in a well-planned and coherent manner. Appraise the current health of the business and develop a growth plan to reach 10,000 customers in Kumasi, Ghana by early 2015. Develop the capacity of each division – marketing, operations, human resources and finance – to deliver the growth plan, ensuring that robust systems and processes are in place and staff are adequately trained. Designing and implementing a ‘Clean Team Academy’ that ensures new recruits are quickly up to speed in their respective job function and the existing team continuously improves. Develop a repeatable model of ‘central processing sites’ around the city to support Clean Team’s growth. Improve and standardise ‘central processing site’ design and operations. Effectively plan and manage an annual R&D budget, identifying and managing new projects that help to improve the overall business model in the short term. Provide general support and guidance to existing management, who are responsible for running the current business, such that it is in a good shape to grow. Coordinate expert inputs from WSUP and non-WSUP visitors, ensuring the interests of the business are protected at all times. Oversee external communications to make Clean Team a known entity within the social enterprise sector. Successful experience of integrating sensitively within an existing local management team. Has extensive experience in growing and evolving small businesses with external investment. Has excellent experience in designing and implementing new employee training schemes and learning and development schemes for existing staff. Collects, analyses and evaluates data to make fact-based decisions. Can think creatively and strategically at a high level whilst thinking through the details. Experience with human-centred design is beneficial. Please specify expected day rate in cover letter. In addition to the day rate, WSUP will cover costs of flights, inoculations and visas only. Consultants shall outline their experience, approach, and work plan in their proposal and include an appropriate day rate plus expenses mentioned above. Proposals shall be submitted to Andy Narracott, (enterprises@wsup.com) by 09:00 (BST) on 26th August 2013.